Emotional decisions aren’t effective risk control. You need a quantifiable, non-emotional decision process. One method I’ve been suggesting to my readers for some time is to diversify investment strategies—or advisors—instead of asset classes. 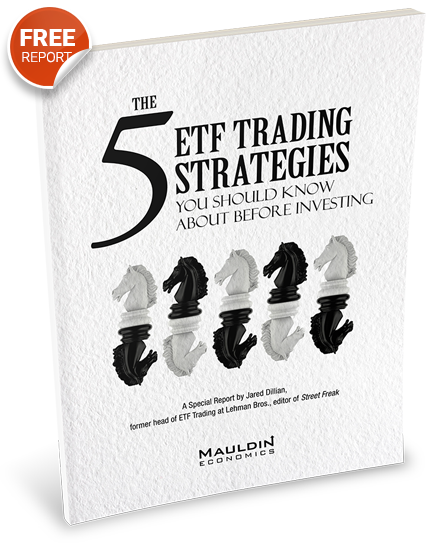 If you are running your own portfolio, another approach is to embrace your emotional human nature. Then counteract it with a disciplined risk-management process. In other words, you have to remove emotions from the equation. But how? There are all kinds of methods, but here’s one very simple one as an example. The 200-day moving average identifies an asset’s long-term price trend. You can use it to stay on the right side of the trend. Stay exposed when the current price is above the 200-day MA, get out when it drops below. It will make you miss opportunities and occasionally keep you in the market through a quick-developing plunge. But it doesn’t have to be perfect to improve your results. It just has to be better than what you would do on your own. The lower part of this chart shows the Dow Jones Industrial Average total return going back to 1900 (blue line). 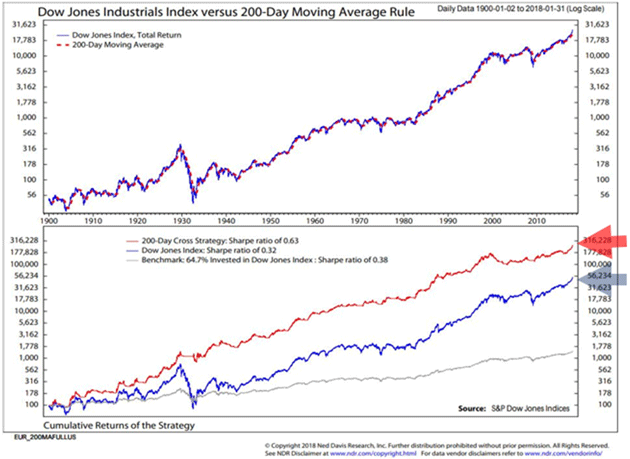 The red line shows the same Dow if you had entered and exited using a 200-day MA rule. Note this is a log scale so the difference in dollars is even greater than it appears. Better yet, the difference in your mental state would have been incalculable. You would have missed the major bear markets and then got back in when the uptrend resumed. Now, there are much more sophisticated versions of this strategy. Some are better than others. But again, I think even something this simplistic is much better than going it alone. This is especially true as we enter the 2020s. I suspect it will be a period of unprecedented, never-before-seen conditions. The one thing we can be pretty sure about is the trends will change periodically. And every such change will be an opportunity for profit or loss.